Discussion in 'Forum Introductions (Who are you!?)' started by Donal, Nov 4, 2018. I'm Donal. I work as a software developer in Cambridge, UK. My main focus is to learn more about computers and computer-science so I can create a software company. I originally planned to become a lawyer, which I studied at university. I was motivated to become a lawyer because I thought I could become self-employed, in control of my destinty, and making $$$. At university, I quickly realised this was NOT the case. I worked out that most 'successful' lawyers are really caught up in a large, corporate, pyramid scheme. Where thoses at the top rake in relatively high-salaries whilst those below have to put in long hours to sustain this profit. All because law-firms' revenue is based on billing per-hour. Revenue only increases when the laywers put in more time. Not a fastlane system. 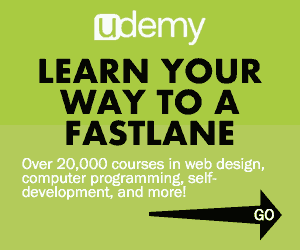 I'm now working as a software developer, training to become a better software-developer, and preparing to make the shift into a fastlane system. 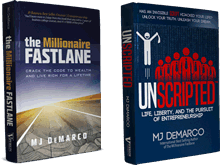 Before I read MJ DeMarco's books, I really didn't understand the how behind wealth. I knew what a business was, why you'd want one. I knew some people got paid a lot. I knew some people inherited a lot. I knew some people had made a lot of money in business. But I didn't get how. I believeThe Millionaire Fastlane has explained to me the fundamentals of how to make a profitable business. And that's exactly what I intend to do. MJ DeMarco, Hadrian, Dre2001 and 11 others like this. Welcome Donal. Where in Ireland are you? Hadrian and Donal like this. I am currently learning to build web applications myself. How long did the conversion from law to computer science take before you were employable? Silver Silk, Donal and Andy Black like this. Welcome Donal! What do you develop? Donal and Andy Black like this. Software development is really good skill and can lead to huge business success. It’s really creative thing. Good luck. Welcome Donal, I hope you learn a lot in this place. Regards from a fellow software developer. Hi 404. I would have replied sooner except I only look at this forum occasionally in my spare time. I started learning to program roughly March 2015. So I've been programming for 3 and a half years now. My first professional job started on 9th January 2017. So it took me close to two years to become a professional. And since then, I've been a professional full-time. When I started, I said to myself, it would take 10 years to become very proficient. When you become employable part is highly variable. It depends what market you trying to become a developer in, what you're willing to take, how focused you are. I was very focused on becoming a becoming a developer. I was able to devote around 30 hours a week to the activity from the start. You could certainly get in with less time. It really just depends who your competition is. I think people pay for boot camps to make the transition more quickly. Hi Lowteck. I currently worth for a cybersecurity company, working on their malware detection engine. I specialise in writing automated tests, to check the software is performing as expected. Hi Andy. I'm from Belfast (though I spent a lot of time in Kerry) but I currently live in Cambridge. Sometimes I think I should come back home but there seems to be more opportunity around Cambridge than most other places in these isles. Where in Ireland are you? Thank you for that perspective Donal. I've been spending 4 hours daily after work learning. It's grueling, but rewarding. About 5 months in now. I spend 8 hours a day on weekends. Soon I'll have to decide if I should begin building a portfolio for employment, or work on an app for myself. Respect. Anyone doing 4 hours daily after work is working hard, that's for sure. And plus 8 hours at the weekend. Yeah, I think the hardest bit is starting and then once you have some momentum, you just need to maintain it and it'll all come together. What made you decide to learn about programming? I’m in County Kildare. Originally from Cumbria in England. Ryanair makes it easy to hop back and forth. Curious why C# and powershell? Those normally are used more in an enterprise environment. Gutzofter, thanks for asking. There's a few reasons. 1) Necessity. My current role in work makes me responsible for a pile of C# code I'd rather not be responsbile for. And likewise, there is a fair amount of powershell too. 2) Exposure to different styles. C# runs in a virtual machine, the same way Java does. I said when I was going into programming that I wanted master it. And to as part of my journey, I want to visit all the significant landmarks. C# and Java seem to dominate Windows-based enterprise programming so I'd quite like to get the hang of it. Likewise, I largley work on Windows, and so it's worthwhile learning powershell. I don't particularly care whether I end up using powershell or c# when I start a business. It's just the opportunity to learn and become more proficient as a programmer, as well as the pleasant affects at being better at my job and being able to work in more environments. I think it's important to learn a range of different languages if you want to become good. There's more benefit in learning a range of different things. I think I'll add more as I go on. But, I easily have a few more years of hard-core study to make myself proficient at those langauges. I'm sure it'll be worth it. Are you good enough to make sales? Would it be better to focus on one language and improve your commercial skills now (sales, marketing, biz dev, etc)? Donal and Silver Silk like this. Hi Andy. Thanks for th reply. Yeah I'm good enough to make sales. I write better python code than most people. I think I'm more intense about becoming a better developer than most developers. I don't really program for money. The process of becoming a master software developer just appeals to me on a level I can't easily explain. Would I be better to focus on one language? Not yet. I think if I am to market myself, then yes, it's better to appear specialised. And I am specialised in python (and a few subsets of that, so my specialism isn't 'just' python). However, I want to learn more languages because I know it'll strength my programming skills. It is essential that I improve my business accumen. If you were to recommend just one book (excluding MJ's), what would you recommend? I will buy it. Which is more important to you: becoming a better programmer or becoming a better businessman? I don't understand why you think becoming a programmer solves the main problem you had with being a lawyer?? It's still very much the case of the founders raking in millions / billions and the programmers taking in a comparatively tiny piece of that. You are in poverty, making $18k a year. You are middle class, making $50k a year. You are wealthy making $150k a year. You have to be in the top 3% of programmers to even have a salary in the six figures range. Most programmers, especially in Europe are at middle class at best. Programming isn't gonna really help you with the core business work of selling something every day. I have some friends making good money with apps they've built. Then there's MJs book, which lends further credence to the power for coding as a means to providing value for others. So, essentially my goal with programming is to become good enough that I can go out and build things that solve problems. Silver Silk and Dre2001 like this. Well I care about making money and living my own life. I'm starting a project that I believe in. I'm giving it a week. I'll post an update in a week on my progress. Idea is potentially against Apple/Androids terms of service. So the application may not be viable. I think the business side of the project is viable. I think the main, initial challenge is working out whether the project is technically feasible on Android and iOS. I'll post more in another two or three weeks. Adrian from Dublin here. Launching my first Fastlane idea in January/February and I wanted to wish you the best on your own App Idea and Entrepreneurial aspirations. Feel free to get in touch at any stage for a chat! Awesome, looking forward to hearing how it's going. C# is similar to java, right? Correct. It's very similar to Java. Probably a bit better because it came a little bit later, and like many Microsoft projects, copied and improved on someone else's good idea. Thanks Adrian. I'm going to follow you.